The 2019 AMAX Talent + Nashville Fashion Week Model Search finalists have the opportunity to meet with agents with agents and scouts from top agencies around the world including IMG, Next, Elite and FORD during the AMAX showcase and will receive beauty makeovers by Love Salons Nashville too. Chaney Trosper, the 2019 winner, walked the NFW runway on two nights, as well as won a $1,000 contract with AMAX Talent, a photo shoot with a local fashion photographer Ramiah Branch and a gift bag from Love Salons! The AMAX + NFW Model Search has been a launchpad for many successful modeling careers since its inception in 2012. Be sure to sign up for NFW email updates so that you stay in the know. Since winning the 2018 Model Search, Aubrey has walked in Nashville Fashion Week and made the cover of Native magazine, shot by Brett Warren. She will be spending Fall 2018 modeling in Thailand! Ella is in development with AMAX and has worked with fashion photographers Brett Warren, Mark DeLong, Jess Williams and Mario Pena. Only 2 weeks after being named the AMAX | NFW Model Search winner, Molly was selected to walk for Carolina Herrera. She has since received multiple contract offers from top agencies around the world and worked with world renowned photographer Emma Summerton. 2015 AMAX | NFW Model Search winner, Briggs spent the summer modeling in Japan, and is signed with Wilhelmina in New York where she has worked for Maybelline and walked for Valentino. 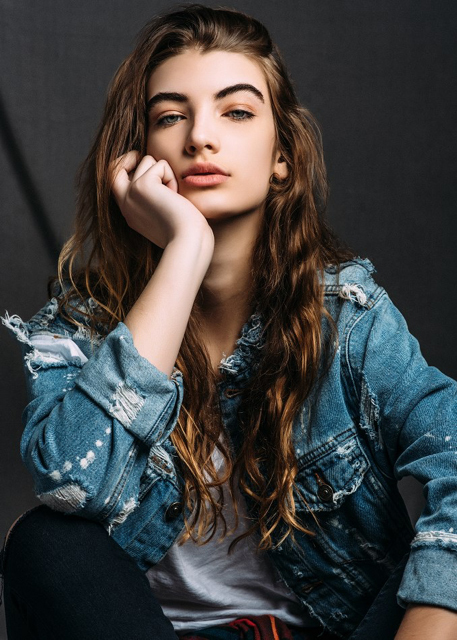 2014 AMAX | NFW Model Search winner, Sydney is signed with Next Model Management in Los Angeles and Miami and DNA Models in New York. She has walked in Nashville Fashion Week and Miami Swim Week and starred in campaigns for Ulta and Bad Habit Beauty. Since being named a 2014 Model Search finalist, Camryn has signed with IMG Worldwide and Sarah Beth has signed with FORD Chicago! 2013 winner Olivia has been featured in Justine Magazine, and worked for TJ Maxx. 2013 Finalists: Liza Cain, Olivia Brunner, Taylor Sullivan, Mary Fitzpatrick, Willow Dickey, Ladae Brooks, Aubrey Warren, Erla Gribb, Caitlin Durra, Lily Saman (people’s choice) and Olivia Oliver. Since signing with AMAX, Caleigh has worked in Paris, New York, Los Angeles and Asia. Her clients include Marc Jacobs, Kate Spade, Gilt Group, Cosmopolitan France, Marie Claire France and L’Offical. She has appeared on the cover of WWD in July 2013 and L’Official Morocco in January 2015. 2012 Finalists including Lydia Touchtone and Caleigh Darragh with Connie Cathcart-Richardson of Nashville Fashion Week and Ginny Edwards Maxwell, Director of Scouting at AMAX. Lydia Touchton has walked the runway in every Nashville Fashion Week since she was a finalist in 2012 as well as for Monique Lhuillier, Christian Siriano, Marchesa and Zac Posen.